Would a new-look Leaving Certificate serve the needs of students or society better if the number of subjects taken in the exams was reduced from the typical seven to five? Very dfificult to say, certainly at this juncture, but it is an example of the sort of talking points thrown up in recent months in discussions on a review of senior cycle underway in school communities. The National Council for Curriculum and Assessment (NCCA) is overseeing the process and there is a way to go before it gets to considering what shape any changes should take. In the initial stage, the focus is on teasing out the purpose of senior cycle. The Leaving Cert is widely seen purely as a method of selection for college entry, a mechanism built around three weeks of exams at the end of 13 to 14 years schooling, through which students achieve CAO points needed for third level. Not everyone goes to third level and even if they did, there is an acceptance that the final two years in school should also be about recognising achievement beyond the single measure of CAO points, and equipping students with the personal and thinking skills they need for life in general. The NCCA consultations have kicked off with a ground-up exercise involving students, teachers and parents in a representative sample 41 schools to ensure the voices of those at the coalface are clearly heard and taken on board from the very start of the process. The first round involved 1,200 students in 20 schools, working with NCCA facilitators. Similar work is now underway with students in the other 21 schools. Separately, the 41 schools are eliciting the views of teachers and parents. The Economic and Social Research Institute (ESRI) is analysing all the feedback and its researchers have been providing insights into emerging themes, at a series of NCCA seminars held in recent weeks. The challenge in setting out a purpose and vision for senior cycle is becoming apparent. On the one hand, there is an obvious attachment to and a recognition of the role of the Leaving Cert as a selection tool for third level, but how does senior cycle fulfil wider purposes and allow students the time to develop skills that might not be assessed in traditional exams? Overall, the current system is regarded as having a lot going for it, although a view among teachers is that it neglects the needs of students who have a more practical orientation and those with special needs. Positives reported by both teachers and parents include the diversity of subjects, while teachers also spoke in favour of the higher/ordinary level option because it gives all students a better chance at passing. But even with the current choice of subjects, some students feel there should be more. There was also a student view expressed that there should not be any compulsory subjects. Transition Year received across-the-board support, parents valuing it for the space it allows for personal development and for the opportunities to taste different subjects and for work experience. One common theme to come from students, teachers and parents in the consultations is overload, and it was in that context that some teachers suggested a reduction in the number of subjects. Senior ESRI researcher, Dr Emer Smyth, reported teachers as saying that some courses at higher level were overfilled with content, leaving no time to develop skills and an understanding at depth for a subject. A point made by parents was that the heavy overload, and often long days in school, made it difficult for teenagers to balance study with other important activities, such as sport. 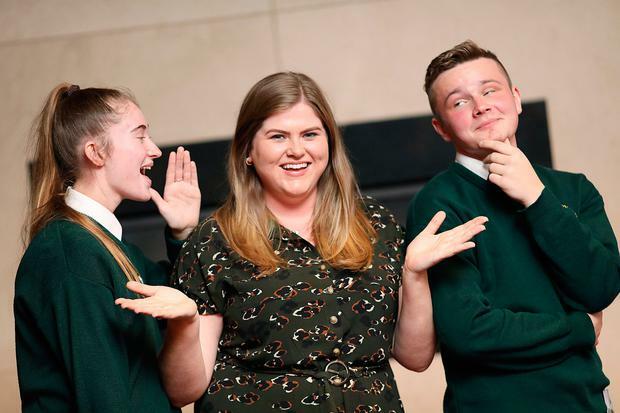 There is also a definite mood for a shift away from heavy reliance on the set of terminal exams for the Leaving Cert, conducted over three weeks in June. The big challenge here will be working out an alternative. Student support for an approach that involves more continuous assessment came through. Parents too would like to see a “more manageable” system, with “spaced out assessments”. Introducing different modes of assessment was the issue that caused problems in the junior cycle reforms, and, here again, there were mixed views among teachers. A recognition among teachers that the current focus on the single set of exams leads to rote learning and teaching to the test was evident, with one quoted as saying more continuous assessment needed to be introduced, possibly from fifth year. But while there may be support for more continuous assessment, as was seen in the dispute over junior cycle reforms there is opposition to any suggestion that it would involve teachers assessing their own students. Dr Smyth reported a teacher as saying that “the anonymous nature of exams does ensure that all students are on the same playing field and college access is open to all based on achievements that are comparable from school to school”. The consultation and conversations continues. The focus of the second cycle is future pathways and the flexibilities that could be built so as to accommodate the needs fo all students. There will be seminars in February to outline the main findings from that cycle, which will be followed by a public consultation from March to June.